Cradle provides an update in relation to proposed legislative changes in Tanzania. The New Legislation is contained in three bills which were passed by the Tanzanian Parliament on 3 and 4 July 2017. Cradle advises that the Scheme Implementation Agreement relating to the proposed scheme of arrangement pursuant to which Tremont Investments Limitedwould have acquired all of the issued shares of Cradle, has been terminated. Cradle and Tremont have entered into a Scheme Implementation Agreement under which Tremont will acquire all of the issued share capital in Cradle which it does not already own by way of a scheme of arrangement. This values Cradle at approximately A$55.0 million. The cash offer of A$0.33 per share represents a 43.5% premium to the last closing price of Cradle. Cradle Resources has a 50% interest in the Panda Hill niobium project in Tanzania. Unlike other niobium projects, its geology and metallurgy are almost entirely conventional. The flotation process at Panda Hill is similar to Niobec, for example, while the leach process is based on Catalão and the converter process on some of the principles from the final stage of the CBMM pyro-metallurgical circuit. On 20 April 2016, Cradle announced the results of a definitive feasibility study (DFS) on the project compiled by MDM, Coffey, SRK, SGS, SLR and Roskill (among others). Cradle is currently optimising the DFS before making a final investment decision in Q217. Assuming that it is affirmative, Panda Hill will then be poised to become only the world’s fourth producing niobium mine. Cradle Resources Limited is pleased to confirm that, following its announcement on 10 June 2016, the Company has completed its capital raising of $2,160,000 through the issue of 8,000,000 ordinary shares at 27 cents each to sophisticated investors. The Company has also agreed to issue 2,000,000 ordinary shares at 30 cents each (raising an additional $600,000) to a strategic investor, together with 2,000,000 free attaching options exercisable at 30 cents each on or before 30 June 2018. This raising ensures that Cradle is sufficiently funded to meet its likely working capital requirements until the Panda Hill Project secures expected debt and equity funding and a decision to mine. Cradle Resources Limited is pleased to announce the maiden Ore Reserve Estimate for the Panda Hill Niobium Project in Tanzania. The Ore Reserve statement declares 20.6 million tonnes at average grade 0.68% Nb2O5. Additionally, all mill feed within the first 10 years of the planned production schedule are now classified as Ore Reserves. On the 20th April, Cradle announced the results of its Definitive Feasibility Study (DFS) for its 50% owned Panda Hill niobium project located in Tanzania. This was followed by two key board appointments, with Ian Middlemas and Robert Behets joining as non-executive directors, and existing board member, James Kelly, assuming the role of Executive Director. Cradle Resources is pleased to announce that Ian Middlemas and Robert Behets have been appointed to the Board as Non-Executive Directors. Mr Middlemas, who is a long-standing substantial shareholder in the Company with a 10 per cent stake, will bring extensive skills and experience in corporate finance, marketing and project funding. Mr Behets has strong technical, commercial and managerial skills in addition to operating experience in Tanzania. Mr Middlemas and Mr Behets were part of the founding team that together developed Mantra Resources, a uranium company based in Tanzania. The growing recognition of niobium as a vital new-age metal with limited supply was reflected in Anglo American’s recent sale of its Catalao niobium/phosphate mine in Brazil. The auction process was known to have been extremely competitive, resulting in Anglo selling Catalao for US$1.5 billion – about 50 per cent more than market forecasts. Cradle Resources announced its Definitive Feasibility Study (DFS) on the 20th April 2016. The Study has focussed on producing on average 5,400tpa (5.4Mkg/annum) niobium as ferroniobium over the LOM with a 1.3Mtpa concentrator initially operating for 4 years and then expanding to 2.6Mtpa in Year 5. Very positive financial metrics are generated in the DFS for the Project with a projected NVP8 (after tax) of US$542M and pre-tax IRR of 32% and a nominal pay-back period of only 4.75 years, from fully funded and inclusive of the expansion capital. An initial construction capital cost of US$165M with a pre-production requirement of US$31M (excluding working capital) has been determined. A further US$93M has been allowed for the expansion of the plant to 2.6Mtpa. Average LOM operating costs for the process are estimated at US$21.34/kg Nb (vs. an average weighted LOM price od US$42). 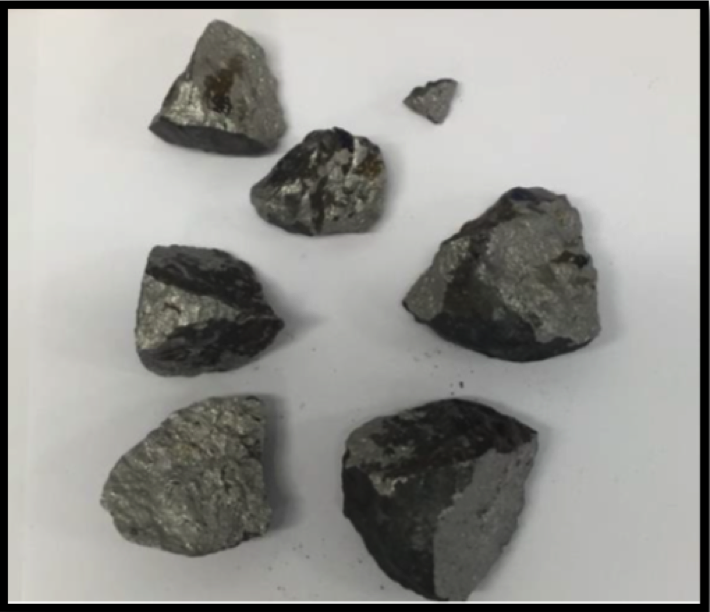 Cradle Resources is pleased to advise that it has achieved another major milestone in its strategy to develop the world-class Panda Hill niobium project in Tanzania, with key metallurgical tests returning outstanding results. These most recent tests demonstrate that Panda Hill concentrate can be used to produce a high-quality ferro-niobium product, which is in turn sold directly to steel mills to produce high strength, low alloy steel products. A picture of the Panda Hill FeNb buttons produced at the ANSTO facility in Sydney is shown below. These first FeNb production tests established that the buttons made from Panda Hill concentrate contained low levels of impurities, further underpinning the quality of product. The Panda Hill Niobium Project is located in the Mbeya region, near the borders with Zambia and Malawi, approximately 680km west of the capital Dar es Salaam. The Project has excellent nearby infrastructure including: TAZARA Rail line (2km away), the Dar es Salaam – Tunduma Highway (5km away), Songwe Airport (8km away) and the Lafarge Songwe Cement Factory (6km away). Access to water and power is also relatively simple with water harvesting from TSF and surrounds possible and the Songwe River, a major water course, running next to the mining tenements. Power is available at the Mbeya Substation and TANESCO is also planning a new 400kV power line that will run past the licence area.